This week, Marvel dropped over 30 character posters for Avengers: Endgame, highlighting both the remaining heroes and those who perished when Thanos snapped his fingers at the end of Avengers: Infinity War. Though each one-sheet only features a headshot of the characters looking forlorn, fans have been studying them to find out what they might tell us about the movie. That might’ve paid off, too, as ComicBook.com has noticed something interesting. 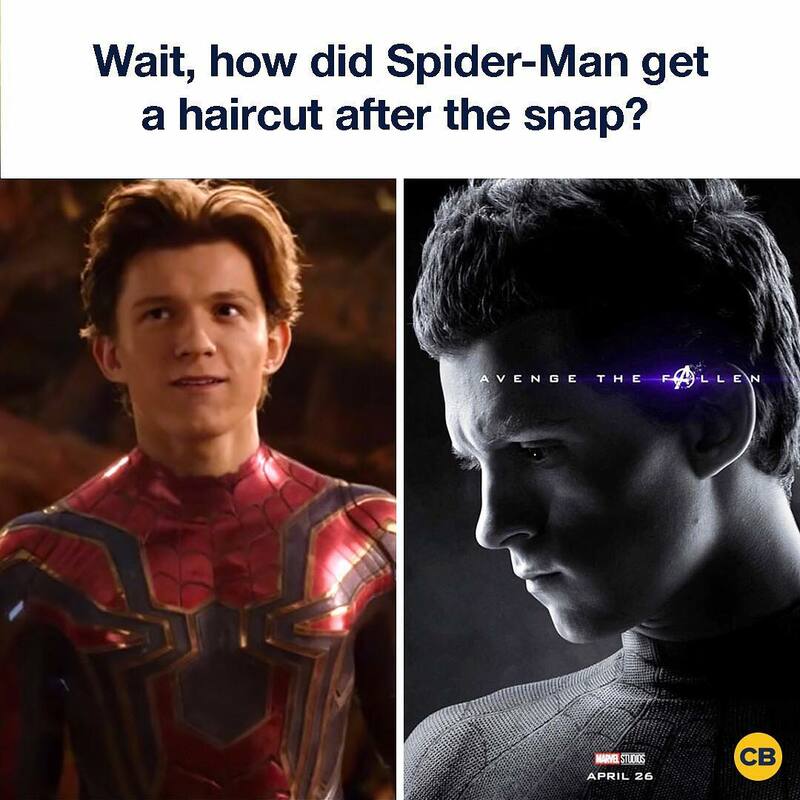 Spider-Man’s character poster sees Tom Holland’s Peter Parker sporting shorter hair than he did when we last saw him, turning to dust on Titan. So, does that tell us that Spidey will return in Endgame to fight alongside the other heroes against Thanos? Maybe. Or maybe this is just a promotional photo taken of Holland after he had a haircut. Alternatively, one fan in the comments section of CB’s Instagram post came up with another solution. That being that the hairdresser who gave Clint Barton his new mohawk was also dusted in the Snap and he’s going around giving the dead haircuts in the Soulworld. After all, fans have theorized that the fallen heroes aren’t exactly dead, just shifted into the reality inside the Soul Stone. So, who knows, maybe that half of the universe has rebuilt some kind of civilization in the other dimension. Even disembodied souls need haircuts, right? It’s surely the biggest unspoken truth of Endgame that, despite Marvel keeping the marketing for the movie as spoiler-free as possible, we have no doubt that the dusted heroes will return once those who survived work out a way to fix things. Some dissenting fans have claimed this means there’s no drama to the current situation but really, just because we know the deaths aren’t permanent, doesn’t mean it’s not going to be hugely emotional and triumphant when they all come back in Avengers: Endgame.